This script is designed as an assistant for a trader having a preset stop loss. It helps to open a Buy position with required risk without performing any calculations. 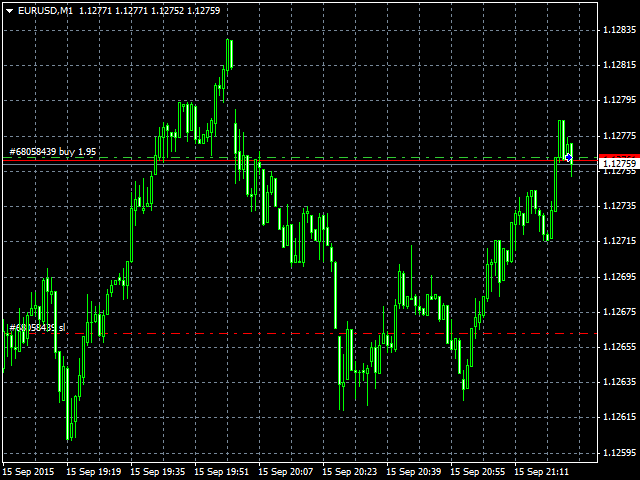 All you need is to specify the risk as percentage of the deposit and the required stop loss in pips and click OK. The script will do the rest. It will open a Buy order with the current price and calculated volume and place the stop loss level at the specified distance.